Thanks to your feedback, Swimia has grow to be in just numerous months one essentially the most important sites of swimming pools. 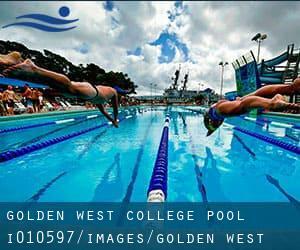 Here you've all of the info we know about Golden West College Pool, in Huntington Beach. Do you know the opening hours? Are they offering any course? What is the cost for a single swim? Don't forget you can also promote this pool so Golden West College Pool will appear the first of Huntington Beach, or even the very first of one's country, contact us to know much more. Swimmers like you reported Olympic size, 8 lanes, Outdoors. The pool is located directly south of the baseball field and can be readily accessed from campus entrance ´A´ (located off the parking lot at the corner of McFadden and Golden West). If you believe that any of the information is incorrect, please get in touch with us. Help us be better day-by-day. 1600 Palm Ave. , Huntington Beach , CA , USA (Postal Code: 92648). Swimmers like you reported 20 yards x 36 feet, Indoors. Unfortunately we do not have the email address of this Swimming Pool, but we can give you the phone number. Main and 17th Street , Huntington Beach , CA , USA (Postal Code: 92648). This sports center provides 40 meters x 20 yards, Outdoors. For this Swimming Pool, only phone number is number here. Updated on 2019 17091 Beach Blvd. , Huntington Beach , CA , USA (Postal Code: 92647). Swimmers like you reported 25 meters, Indoors. Unfortunately we do not have the email address of this Swimming Pool, but we can give you the phone number. The info of this Pool has been verified lately by a member of their staff.